The author of Bel Canto, winner of the PEN/Faulkner Award, the Orange Prize, and long-running New York Times best seller, turns to nonfiction in a moving chronicle of her decades-long friendship with the critically acclaimed and recently deceased author, Lucy Grealy. 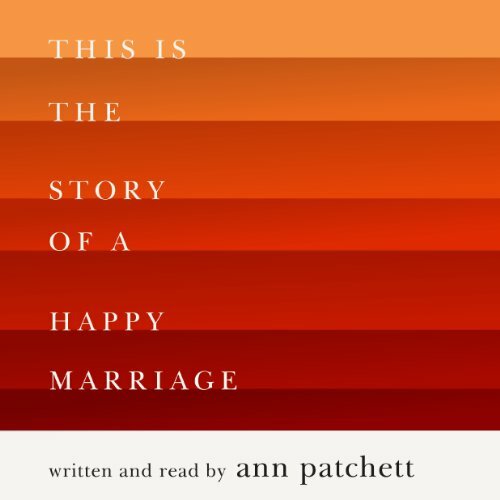 Blending literature and memoir, Ann Patchett, author of State of Wonder and Bel Canto examines her deepest commitments: to writing, family, friends, dogs, books, and her husband in This Is the Story of a Happy Marriage. Together, these essays, previously published in The Atlantic, Harper, Vogue, and The Washington Post, form a resonant portrait of a life lived with loyalty and with love. This is the Story of a Happy Marriage is everything other reviewers have said, and more. 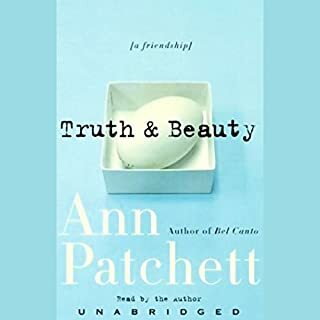 It’s a wonderfully-written and varied collection of Ann Patchett’s essays, ranging from musings about how she considered joining the Los Angeles Police Dept. in order to write about it and how she is influenced by her father, a retired LAPD police captain, to her feelings about her dog Rose and Sister Nena, the nun that taught her to read and write, to the eloquent and moving account of caring for her grandmother during her progression into dementia. I’ve read and enjoyed (with reservations) several of Patchett’s novels. Bel Canto was great but I hated the ending, and I liked State of Wonder, except for some of the more ludicrous plot points. I personally found this collection of essays much more engrossing than any of her novels that I’ve read. 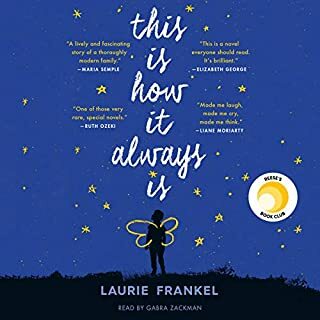 She can write about almost anything, revealing thoughts, emotions, and advice without becoming preachy and overbearing. I was completely unaware of Lucy Grealy, Patchett’s long-term friendship with her, and the controversies arising from their relationship. I’m very tempted to read Patchett’s Truth and Beauty to delve into this further, and may do that after I’ve had some time to digest the essay from Grealy’s sister in The Guardian. 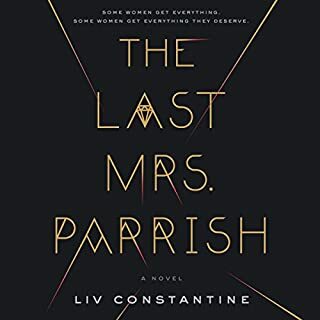 I’m hoping that Patchett will further show, as she did in this collection, that there are often quite a few ways of viewing a situation, and one absolute truth does not always exist. When I read “It was her proof that she was valuable in the world.”, I gained a much better understanding of my dear mother-in-law. She raised five children with lots of hard work and no time to herself. Now that she has too much time to herself, she is missing that visible proof that she is valuable in the world. I could see her so clearly in that one simple sentence. 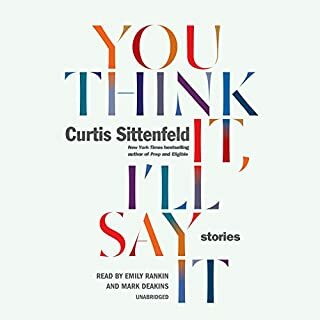 I’m grateful for this entertaining and elucidative collection of essays that was a pleasure to read, and even more so when read by the author in the audio version. I was expecting a book on Ann's writing life, but got a collection of her essays, published during her life in a number of magazines. While the writing is good, and stories are sometimes good, too, it is quite repetative. I did love the essay about her dog and grandma's passing. 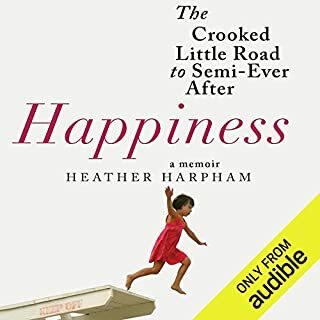 Where does This Is the Story of a Happy Marriage rank among all the audiobooks you’ve listened to so far? Pretty high: I've had a run of badly written or read books lately, so this was a welcome surprise. I truly had a sense of relief listening to it. It's a series of essays, so there aren't any characters, only real people. The one consistency is the voice of the author, Ann Patchett. She comes across as very matter-of-fact, if not particularly introspective or self-reflective. That is partly what I liked about the book, as she doesn't wallow about in self-indulgent personal analysis. She seems to encounter life with the curiosity, bemusement and bewilderment of someone from another planet. One can almost see her squinting as she tries to figure out how other people approach their lives or perceive hers. Which character – as performed by Ann Patchett – was your favorite? Ann Patchett, as herself. 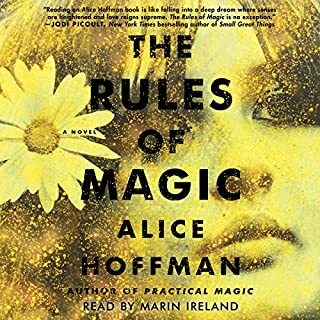 Usually a book read by the author is the kiss of death for an audiobook, but in this case it works. She knows the cadence of her writing and, most importantly, her humor. I don't think it would work with anyone else reading. No. I listened to the chapters or articles sequentially but over the course of a few days of driving. This is a very engaging collection of articles, especially as read by the author. My main image of it was as a beautiful workhorse of a book. It was a surprise, as I didn't realize she had a parallel career in non-fiction. I have had mixed-reactions to her novels, although I find the writing in them to be brilliant. Now I have fallen in love with her non-fiction writing. She has a pace and cadence, along with a combination of information, description, and humor, that is unerringly satisfying. I went to see David Sedaris on his last tour and he usually has a book recommendation and this time it was this book. Huzzah. What did you like best about This Is the Story of a Happy Marriage? What did you like least? Liked Rose the dog best. Author's narration was the worst. She sounded miffed, angry, just plain pissed off at so many things, people, places...the whole world. Would you be willing to try another book from Ann Patchett? Why or why not? Not really. Didn't like Bel Canto. Maybe this author is just not for me. Would you be willing to try another one of Ann Patchett’s performances? no. she does not have a reading voice that one wants to hear for more than 30 seconds. Do you think This Is the Story of a Happy Marriage needs a follow-up book? Why or why not? Many of us have been waitresses. Perhaps less bitter because we weren't frustrated poets and didn't go to Iowa to study graduate writing. Ann Patchett at her finest. Real and surprising, funny, touching and honest. Each piece engaging in its own way. I learned so much, about writing, about what it's like to go through the police academy in LA, own an indie bookstore, love a nun, stand up and speak out in the face of criticism, and yes, have a happy marriage. Some of it is repetitive because of the nature of the collection. This is work collected over the years. Highly recommended. Couldn't finish, even though I'm sure the author had fantastic advice. she reminded me of a cynical, weary professor. Writing is clean but horribly boring. It's only about Anne- the Title is misleading. Narrator is monotone and I can't stand listening to her talk. Cannot believe I wasted credits to buy this book. Save yourself- this is better off as firewood than a book taking up space. Just go with it or not ! What did you love best about This Is the Story of a Happy Marriage? Well I tried to like it. I even listened to it twice, no luck. She shouldn't narrate her books. In these collected essays, Ann Patchett writes about people and events that have informed her writing. I found them relate-able and thoroughly enjoyable. Was sorry when the book ended.